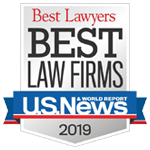 Dow Golub Remels & Gilbreath, PLLC vast real estate experience includes representing developers, real estate companies, private operating companies, lenders, contractors and subcontractors, title insurance companies, and institutional and entrepeneurial investors. Sanford L. Dow, who heads the Real Estate section, is Board Certified in Commercial Real Estate Law by the Texas Board of Legal Specialization. The Firm represent buyers and sellers of a broad range of commercial and residential matters in the purchase and sale of developed and undeveloped real property. Our services include the drafting and negotiation of letters of intent and purchase and sale agreements; drafting and negotiation of broker’s commission and listing agreements; title review and analysis; assistance in due diligence and analysis of property to be acquired; and all other matters required to take a transaction from a proposal to closing. The Firm represents landlords, tenants, and property managers in all types of leases, including shopping center leases, multi- and single-tenant office leases, warehouse leases and ground leases. Our services include preparing letters of intent and acting as a liaison with leasing brokers; drafting and negotiation of leases and related documents; assistance in due diligence and analysis of leased properties; preparation of form leases for use by office and shopping center landlords, tenants and/or managers, preparation of tenant improvement work letters, providing counsel in connection with estoppel certificates, subordination agreements and lease amendments; and the negotiation and preparation of subleases, assignments and non-disturbance agreements. We have tremendous experience in shopping center development and leasing. As a result, we are uniquely qualified to represent shopping centers, office buildings and industrial and commercial properties of all sizes and types. Additionally, we have represented both regional and national retail tenants. The Firm works with real estate appraisers and other professionals in order to maximize our clients’ recoveries when real property is taken through governmental eminent domain proceedings. Although the Firm attempts to deliver prompt and reasonable settlements for our clients, we are fully prepared to take cases involving difficult valuation or legal issues to trial in order to obtain just compensation. We represent borrowers and lenders in many types of financing arrangements, including property acquisition loans, construction and development loans, take-out and permanent financing, seller purchase-money loans, institutional loans and syndication loans. Our services include negotiation and drafting of loan documents, such as the preparation of loan agreements, promissory notes and guaranties, mortgages, security agreements, hazardous materials agreements, collateral and absolute assignments of leases and all other instruments which are a part of secured lending. We also provide title review and other due diligence matters relating to real estate lending transactions. Dow Golub Remels & Gilbreath offers advice in connection with the construction of new buildings, improvements or alterations. Our services involve the negotiation, documentation, amendment and enforcement of construction contracts and agreements between owners and architects, including general contractor agreements, subcontractor agreements, interior design, and other similar agreements. The Firm is highly experienced and knowledgeable in issues pertaining to real estate development ranging from condominiums, single family homes and town homes, to commercial/retail projects and large-scale mixed-use developments. The Firm regularly handles cases across the broad spectrum of real estate litigation representing developers, lenders, buyers and sellers in disputes involving construction and land use matters, partition issues, landlord-tenant disputes, specific performance actions, boundary and easement disputes, lien priority and enforceability issues, inverse condemnation and eminent domain matters, adverse possession claims, contractor and subcontractor issues, quiet title, and mechanic’s and materialmen lien claims.